Get your child a quality bouncer to help him improve his balance. Our team of enthusiastic bargain hunters has gathered and tested the latest cheap Bouncer deals so you can be assured that any voucher code is up-to-date. Get access to awesome bouncer product options on amazingly great discounts plus you get to choose from the most reliable online retailers such as Amazon, Argos, and ASDA. Our supportive team of bargain hunters has listed the latest bouncer deals and special offers available for you. We will share with you important information to help maximise your savings. Little Tikes Jump and Slide Dry Bouncer - save £100!! Big savings on all kinds of bouncers from top brands and retailers! A baby bouncer is a device used by moms around the world to hold their babies and at the same time, infants will have time to exercise and play in. 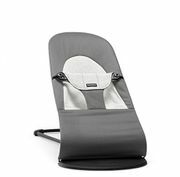 A bouncer seat should be versatile and need not to be expensive piece of baby equipment that your baby can use from day one. As infants can’t be left alone, baby bouncers are especially helpful as a safe place to lay your newborn while you grab something to eat or take a shower. You can even bring the lightweight seat into the bathroom or wherever you are. Safety. Why would you buy something for your kid it’s not safe, right? Baby bouncers are designed to hold baby securely in the seat with a gentle bouncing motion so whenever they want to jump endlessly, you know they are safe plus baby bouncers come with safety straps. You can put your baby into the chair section with the safety straps so the risk of them falling is reduced. Puts your baby to sleep. 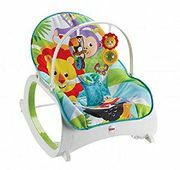 Whenever your baby cries, you try to put them in your arks and spend hours bouncing them in your arms so just they can stop crying and go to sleep while baby bouncers not only help you put your baby to sleep, baby bouncers can enable you to give your arms a break and have your baby still receives what he wants - a bouncing motion. Frees your hands. One of the great advantages of owning a baby bouncer is it helps you free your hands whenever you need to do something like making a meal or tea for the family or you want some housework done and still securing your baby with the baby bouncer and keep them safe at all times. Plenty of options. You will not be forced in buying a baby bouncer just because it is the only thing available. You will enjoy the choice of options available when looking for a baby bouncer. From motorised to non-motorised choices, you can buy anything you like that will suit your budget. Motorised options include a small battery motor that physically rocks baby with speed options. The non-motorised option is the traditional one you have been using for years and when the baby moves, the bouncer rocks and bounces through the baby’s weight and movement. Reclining Bouncers. Recommended for newborns who don’t have control of their head movements yet. Like what the doctor is always telling before you leave the hospital with your baby, supporting a newborn’s head is crucial so if you don’t properly support his head, it can lead to a serious damage like brain damage, suffocation and neurological concerns. That’s why reclining bouncers are made. Using this, even your baby’s feet will never even touch the floor. Upright Bouncers. Upright bouncers are the classic styles you see babies having fun, jumping as much as they can by stamping their feet as much as they want. Although upright bouncers can only be used when babies have enough strong neck muscle control. Doorway Bouncers. These types are the ones you see in doorways house that look like bouncy park swings. Bouncers are a portable, fun, and lightweight option to keep your baby close to you as you move around your home. Host and Mommy, Rachel Pitzel, chats about important safety considerations when using a bouncer and makes her favorite picks for every family's budget and lifestyle. Happy bouncing! Pros: Affordable for all budgets, the toys on the toy bar are brightly colored to attract your baby’s attention, and it holds from 5 pounds to 25 pounds, which is a good weight range. Cons: It doesn’t fold up once assembled and runs on battery power so you’ll need to buy replacement batteries often. Pros: 15 nature sounds and songs to keep your baby occupied, you won’t have to keep replacing the batteries since it has a power cord option, and you’ll be able to keep using the swing portion for up to 30 pounds. Cons: It’s pretty expensive and some parents felt the assembly was confusing. Pros: The springs are guarded by covers, so your baby’s fingers won’t get accidentally pinched, tt adjusts to three different height positions, the seat rotates all the way around for extra fun, and it folds up for storage so it won’t get underfoot when you’re not using it. Cons: Requires batteries and the maximum weight is 25 pounds. Pros: You can use it for rest and play, it weighs less than five pounds, it’s easy to carry around, and the adjustable positions make it a great pick for babies with acid reflux. Cons: It’s on the expensive side and doesn’t come with any extras or toys to keep your kid entertained. Pros: The cover is removable and machine washable for quick clean up, the legs are covered in safe, non-slip rubber, and the cover is made of a breathable material which is convenient if your baby tends to get sweaty in their seat. Cons: It requires a battery for the vibrations and should only be used by babies with strong neck control. Every home with a child’s number one priority is the child’s safety. That’s why baby bouncers are made. Every child’s hobby is to jump and jump and jump until they fall and then jump again. If you are so stress and tired of waiting for your your child to stop, and to get them to sleep, a baby bouncer chair is the answer to your prayers. If you’re looking for a cheap bouncer, you’ve come to the right place! Here at Latest deals you will find the best and cheapest deals on bouncer. 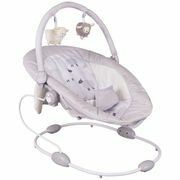 Find great deals, special offers, and price drops on baby bouncer swing, baby bouncer chair, and baby door bouncer. 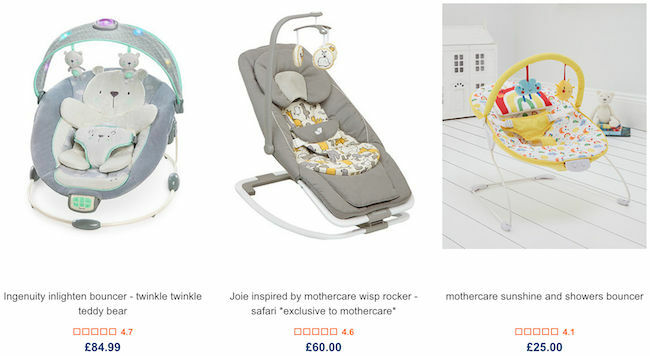 Enoy massive savings on BabyBjorn Bouncer, baby bouncer Fisher Price, and other top brands. 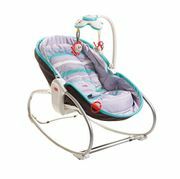 From cheap baby bouncer mothercare to, you are sure to find the cheapest baby bouncer swing. Find all the cheap, Argos Baby Bouncer and so much more! Our community of bargain hunters regularly share verified bouncer Mothercare deals, Argos baby bouncer offers and on quality bouncers from other reputable UK retailers to help you save on your purchases. We also have a team of money-saving experts who share essential tips and tricks that will help you get discounts in your instore and online shopping. Most UK retailers such as Sainsbury’s, Amazon, eBay, ASDA, and Very among others, often have sale events such as clearance and flash sales where you can save as much as 50% off on an extensive selection of bouncers. They also reduce their prices even further during Boxing Day and Black Friday. You can maximise your savings and get additional money off by using the latest baby bouncer discount codes you can find here at Latest Deals. There are even voucher codes where you can get freebies and free shipping on your purchases. The special offers we have here are available for a limited time only, so make sure to take advantage of them right away before they expire. Do not forget to bookmark this page and never miss out on fantastic savings. Amazing discounts, and everyday low prices from your favourite online shops in the UK!